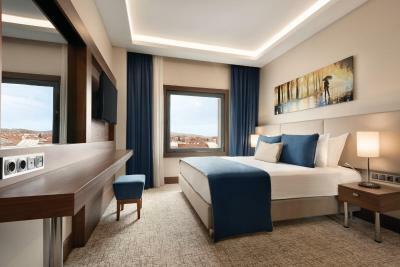 Lock in a great price for Ramada by Wyndham Yalova - rated 9 by recent guests. 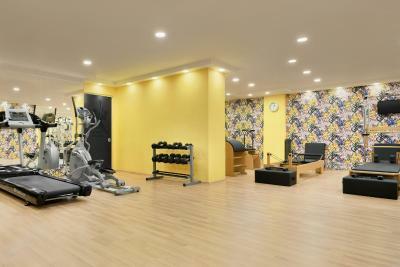 I like the location of the Hotel but mostly the Staffs are very Well coming, Freindly, Charming, make you feeling you are Home not in Hotel with Family, all the time they are there to assist you. Really once I enter to the Hotel my feeling is entered to my Family Home or My second Home not a Hotel Guest. 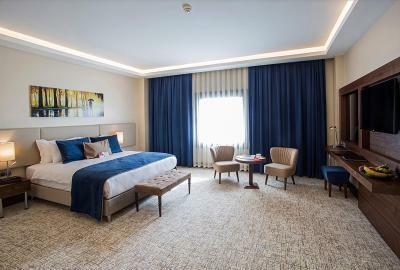 I would like to Congratulate the Management and Staff of the RAMADA Yalova Hotel for the way they treat their Hotel Guest and I am proud and Appriciate for their services of the Staffs from Reception, Restaurant, Room services, Housekeeper and I thanks a lots Mr. Sukur for his kindness allowed me for Late check out . I request the Management to pass my appriciation and thanks to all Staffs. Looking forward to see you in future soon. Our room was very clean and comfortable. 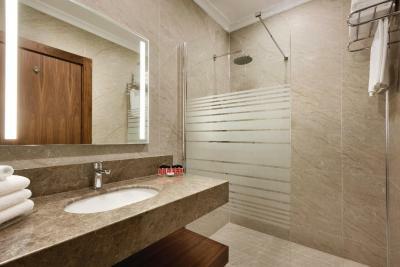 Loved the shower and the heated mirror ( so it doesn’t fog up). The staff was friendly and efficient. It was a nice 10 minute walk to the downtown area. Would stay there again and definitely would recommend to friends. 1- Very welcoming staff 2- Location of the Hotel near to the center. 3- Parking available. 4- Rate of one night is fair enough 5- I recommend to every one to stay on this hotel. 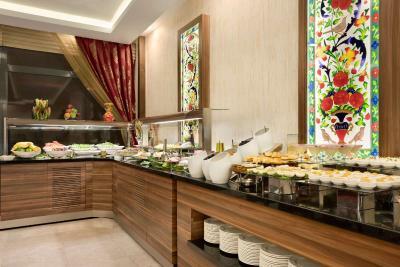 6- This is the second time I stayed on this Hotel. 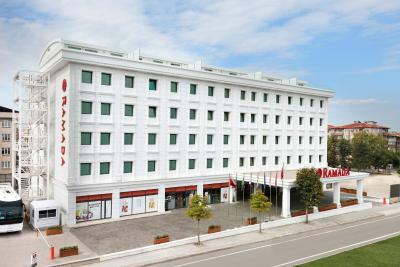 Ramada is a very nice place to stay in Yalova (Yalova, the city of small preciousness). You feel the warmth from the moment you walk into the hotel. The lovely atmosphere makes you feel at home. 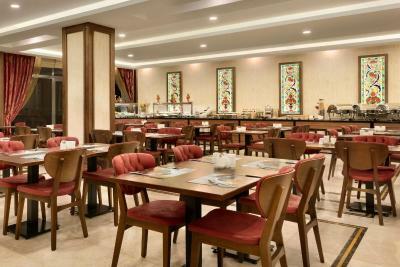 The staff has a very open and friendly attitude, and is just a second away to serve you whenever you need good service. Good comfort, care, rest and joy are words which describes a visit to Ramada Yalova. 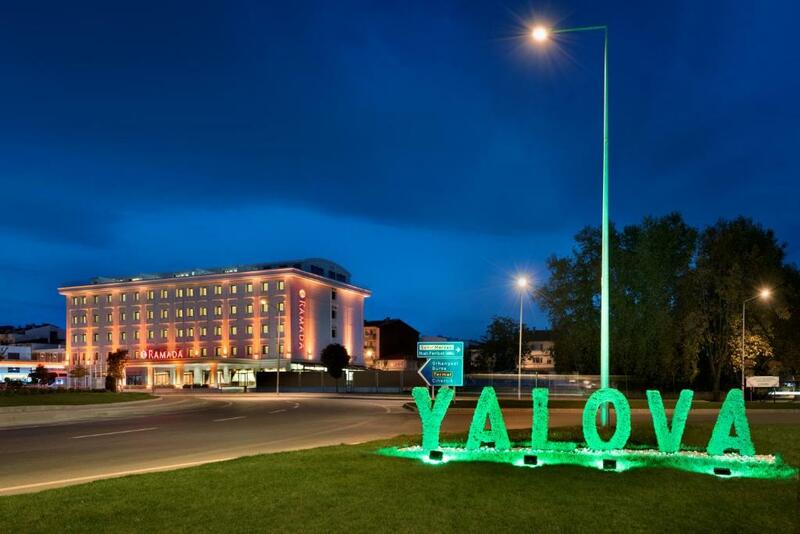 A visit you certainly can’t miss when you are in Yalova! 1. Co-op of the staff in the reception. 2. Making upgrade to my reservation. 3. Location. 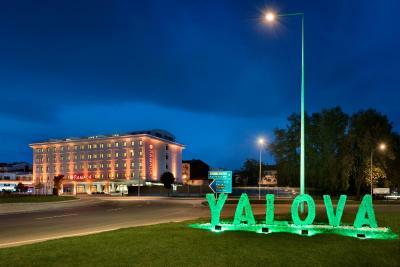 One of our bestsellers in Yalova! 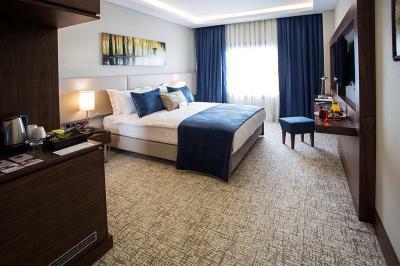 Located in Yalova, 1.4 miles from Yuruyen Kosk, Ramada Yalova offers accommodation with a fitness centre and a shared lounge. 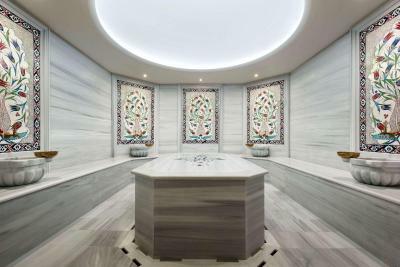 Featuring a restaurant, the hotel is close to several noted attractions, around 0.9 miles from Mohackale Park, 0.9 miles from ferry and an 18-minute walk from Baris Manco Open Air Theater. The accommodation provides a 24-hour front desk, a shuttle service, a concierge service and free WiFi throughout the property. 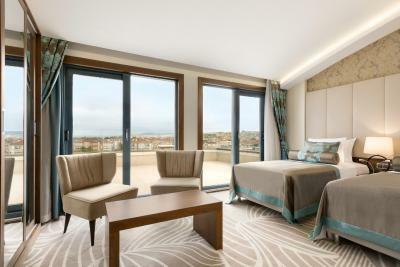 Rooms are complete with a private bathroom fitted with free toiletries, while some rooms at the hotel also offer a terrace. Ataturk Stadium is 1.2 miles from the accommodation. 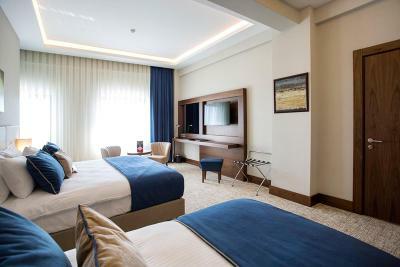 The nearest airport is Sabiha Gokcen Airport, 18 miles from Ramada Yalova. 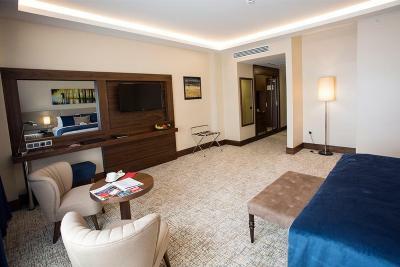 Ramada by Wyndham Yalova has been welcoming Booking.com guests since 24 Jun 2017. 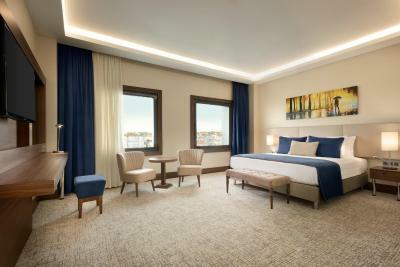 When would you like to stay at Ramada by Wyndham Yalova? This suite has a flat-screen TV, minibar and seating area. 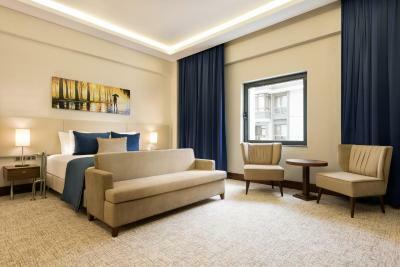 This suite features a minibar, air conditioning and seating area. 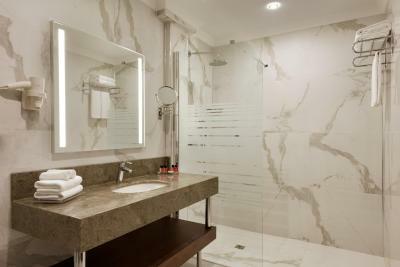 This suite features a electric kettle, flat-screen TV and bathrobe. 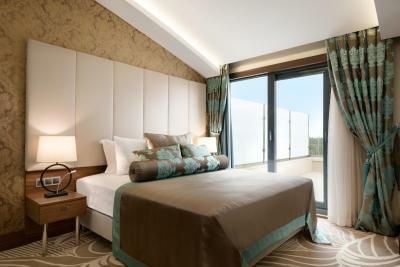 This suite has a private entrance, air conditioning and flat-screen TV. 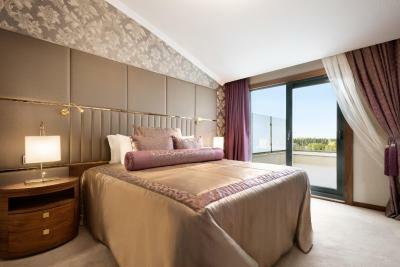 This suite features air conditioning, view and electric kettle. This double room has a soundproofing and minibar. This twin room features a electric kettle, cable TV and minibar. This double room features a view, satellite TV and electric kettle. 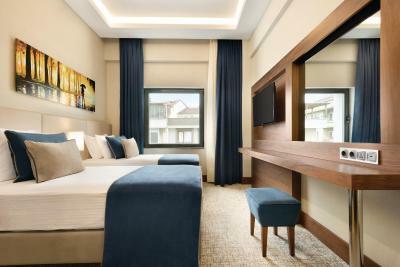 This triple room features a tea/coffee maker and air conditioning. 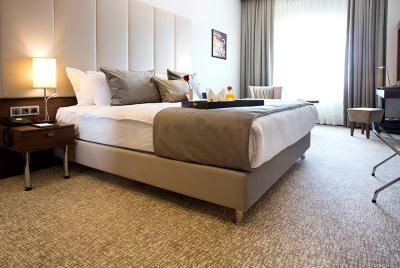 This quadruple room features a flat-screen TV, air conditioning and minibar. 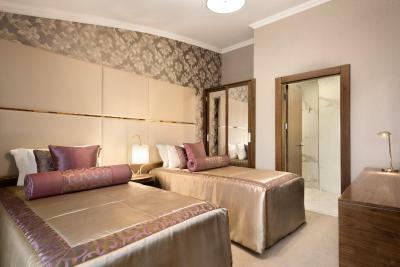 This triple room has a minibar, satellite TV and air conditioning. This quadruple room features a bathrobe, minibar and electric kettle. 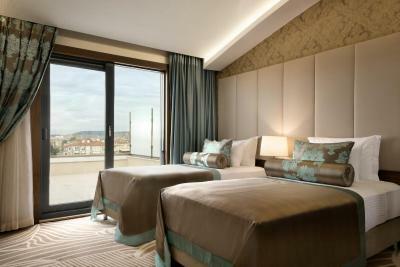 House rules Ramada by Wyndham Yalova takes special requests - add in the next step! 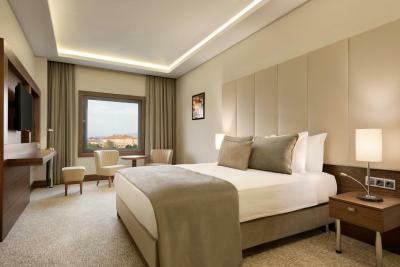 Bankcard Ramada by Wyndham Yalova accepts these cards and reserves the right to temporarily hold an amount prior to arrival. 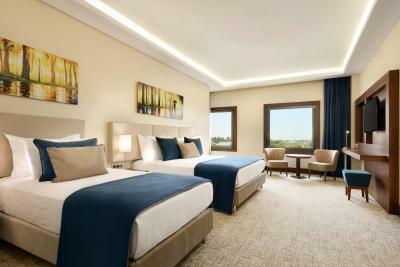 Ramada by Wyndham Yalova accepts these cards and reserves the right to temporarily hold an amount prior to arrival. Please note that the property does not serve alcoholic drinks. 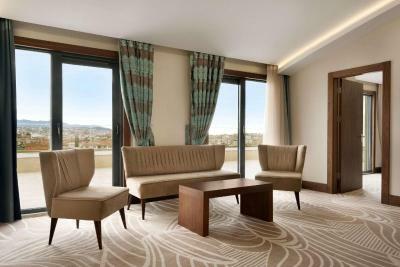 Please inform Ramada by Wyndham Yalova in advance of your expected arrival time. You can use the Special Requests box when booking, or contact the property directly with the contact details provided in your confirmation. The room looked outdated. Shower light was broken and not fixed. 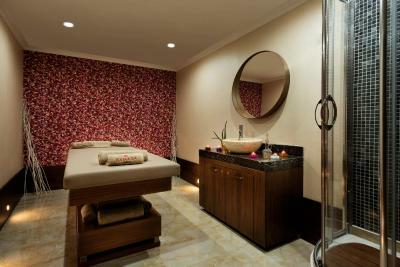 I couldn’t use the spa facility due to what seemed to me a mis-organization of the staff. I had to cut my stay from three days to 1 day. Even without these issues I think the hotel review score shouldn’t be more than 8. 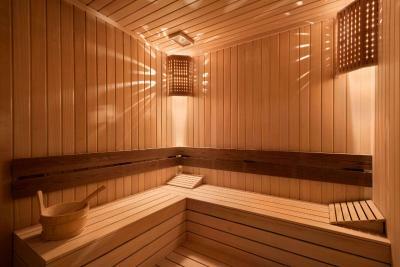 The location was great near city center, local shops and ferry terminal. The reception staff and hotel manager were super friendly and polite. Little pricey and hotel needs footsteps before the entrance. If you don’t come with taxi or car it is hard to enter the hotel. 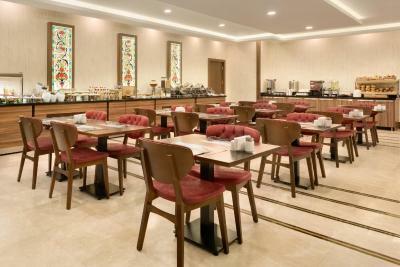 I like the cleanness of the hotel, also like the breakfast. car parking...specially at night ...is a problem.